Sheermaal is a sweet raisin bread flavored with saffron, perfect tea snack for supper. 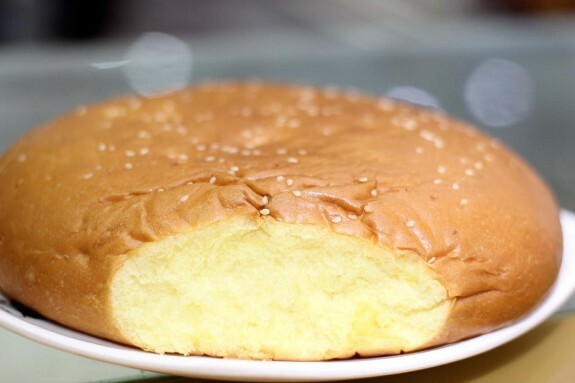 Bake your sweet bread at home using this simple Pakistani recipe. In a bow mix yeast, sugar, milk and saffron. Set aside for 10 minutes. Now mix in egg and melted Ghee in the above mixture. Combine flour, salt, powdered sugar. Make a mound and make a well in the flour mound. Pour in the yeast mixture. Knead about 10 minutes. Gather in to a ball. Cover with a damp kitchen towel or plastic wrap. Let it rest for one hour or till the dough doubles in size. Knead dough again. Divide in 6 equal small balls. Roll out dough to form a disc about 5" in diameter. Place about 5 raisins on the disc. Press the raisins lightly. Put 2 discs on a greased baking sheet. Bake 6 to eight minutes.